The Insurance Coverage of Hearing Devices - Or Lack Thereof. In a world where our five senses are preached, praised, and prominent, being without one of our senses is perceived as a “worst-case scenario.” It’s only natural that such sensory disabilities - whether visual or auditory - are encouraged to be corrected. After all, senses affect every aspect of our lives. Hearing, specifically, is key to every individual’s social, emotional, and academic development. However, and unfortunately, most assistance ends up being a huge expense, particularly for families with children with disabilities. While sensory disabilities are some of the least commonly diagnosed disabilities, they account for 95% of our interactions with the world. Hearing loss specifically is one of the more common sensory disabilities, and has a socioemotional and educational impact on the individual with the hearing loss. As an estimated 15% of Americans have hearing loss of some form or another- the number increasing with age- the amount of hearing-assistive devices utilized is varying and wide. These assistive devices have improved since their beginning, and are offered in new colors, with recharge ability, bluetooth accessibility, surgical implantation, and more! It’s exciting, right? Yes, and yet, these devices can cost upwards of a thousand dollars apiece. The cost of hearing aids and/or cochlear implants is something most people hardly ever have to imagine, so of course the cost may be unnoticed and unimportant to the majority of the population. I just ask you to imagine being one of these people with hearing loss, and every four to five years - thanks to rapidly evolving new technology - having to try to pay for such needs. With auditory appointments, batteries, upkeep, and standard living expenses, these devices count for a huge, repeated expense that can reach upwards of $4000. Hearing aids themselves are $2000 to $3000 apiece, doubled the cost if a pair is required. To make matters worse, most insurance companies need not even provide coverage of hearing aids, leaving these people and families to afford out-of-pocket care or resort to charities and donations to obtain such necessities. But, new legislation is being introduced related to insurance coverage and hearing aids, so this might very well be changing. You can bet I will be following the progress of LB 15 in the next weeks of the Legislative Session. 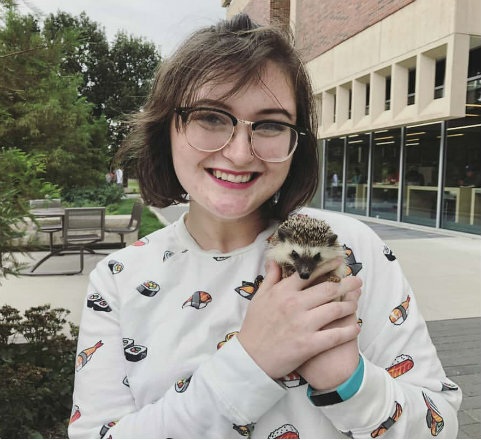 Olivia Versaw is a Public Policy Intern at Disability Rights Nebraska through the LEND program, but is studying special education at the University of Nebraska-Lincoln. She is the proud owner of the world’s sweetest hedgehog and has worn hearing aids since she was four years old.